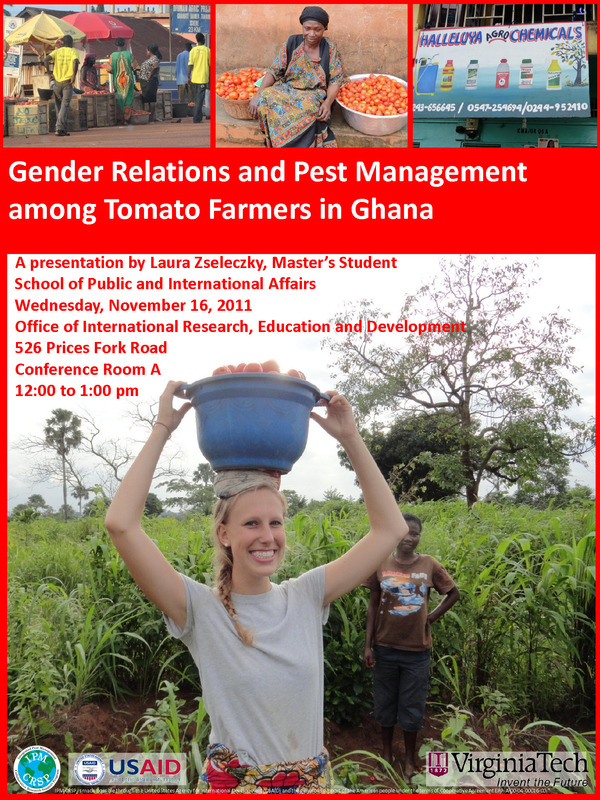 On November 16, at 12pm, Laura Zseleczky will be presenting her research on gender relations and pest management among tomato farmers in Ghana at VT’s Office of International Research, Education, and Development (see flyer on the right). Blacksburg (Ralph Hall): Room 200 in the Architecture Annex. Alexandria (Derek Hyra): Prince Street conference room.